In their crosstown rivalry series, Southern University struck first against the No. 8 ranked LSU Tigers and never looked back as they rolled to a 7-2 victory. Jaguar righthander Eli Finney stepped up to lead Southern. He held LSU to two runs in 7.0 innings, working around one hit one earned run and three walks. He struck out seven batters and flirted with a no-hitter into the seventh inning. Tigers designated hitter CJ Willis broke Finney’s no-hitter in the seventh with a double to right field. Head coach Kerrick Jackson went to the bullpen when Finney reached the 100-pitch mark. Finney, a Okeechobee, Florida native, improved to 2-2 with the victory. 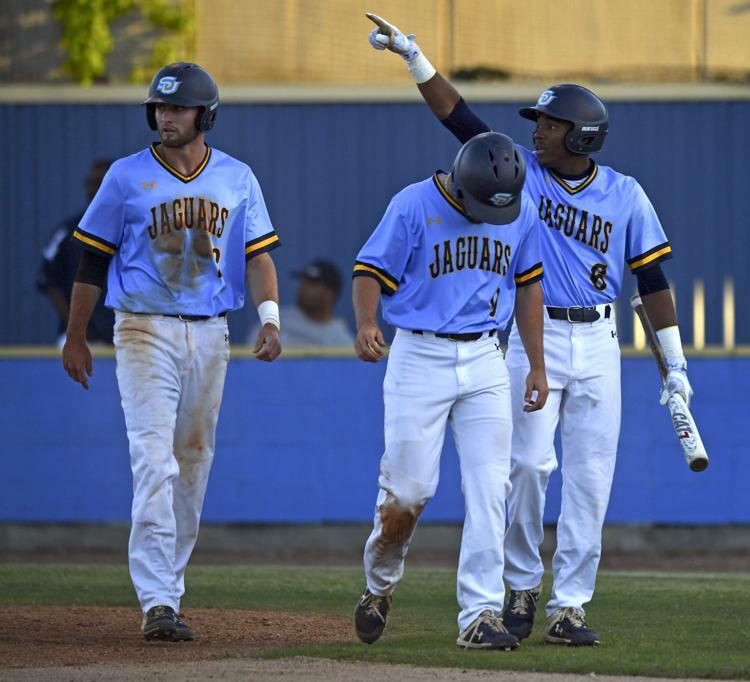 Southern’s offense provided Finney with plenty of support, as the Jaguars tagged LSU starter Landon Marceaux for four runs in the first inning. Leadoff hitter Tyler LaPorte open the game with a single. Marceaux walked both Johnny Johnson and Ashanti Wheatley to load the bases. After getting Malik Blaise out on strikes, Coby Taylor doubled to center field plating both LaPorte and Johnson, Wheatley advanced to third for a 2-0 lead. Willie Ward followed with a two run single to right field scoring Wheatley and Taylor increasing the lead to 4-0. Southern would get another run in the second inning. Hampton Hudson singled through the right side, stole second base, moved to third on an infield ground out to second base and scored on LaPorte’s grounded out to shortstop for a 5-0 lead. They would pick up two more runs in the seventh inning to increase the score to 7-0. For seven innings, Finney pitched a gem. LSU designated hitter CJ Willis broke Finney’s no-hitter in the seventh inning. With one out and Cade Beloso on base after a walk, Willis doubled to right field. Beloso scored on a sacrifice fly, cutting Southern’s lead to 5-1. The Tigers would add another run in the top of the ninth inning, but it was not enough as Southern upset the No. 8 ranked team in the nation. Southern University’s LaPorte had three hits and Ward added two more hits. Both Taylor, Johnson and Hudson had one hit apiece to pace the offense. Three Jaguar players Wheatley, Taylor and Ward drove in two runs each. Righthanders Whilhelm Allen, Cole Jenkins and Connor Whalen were nothing short of outstanding out of the bullpen to close the door. This was a big game for Southern. It was their most complete game of the year, combining strong pitching and hitting with one defensive error to avenge a February 27, 17-4 loss to LSU. Don’t look now, but you can see their path to a postseason appearance taking shape. After giving Memphis all they could handle last weekend in the first two games in that series, the offense battled and never surrendered the lead at any point.